When Dale and Renee came into the Tank, the first thing I noticed was their passion—not just to grow their business but to do it in their small town, Portsmouth, OH. They really wanted to show it doesn’t take a big city to make a big difference—I couldn’t agree more! 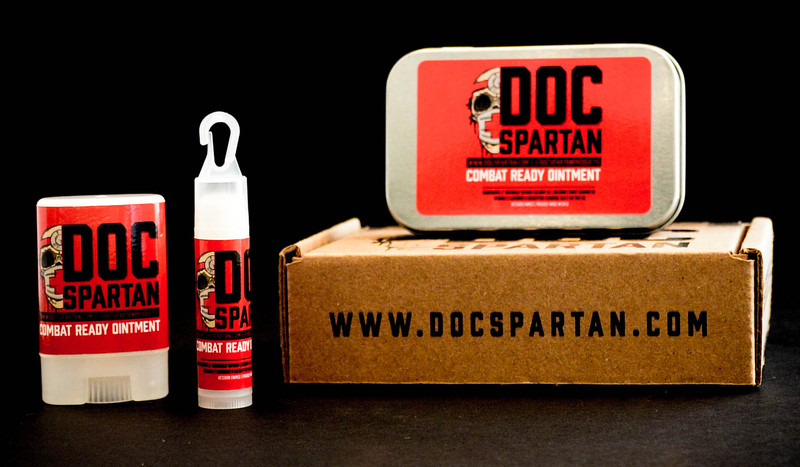 Their company, Doc Spartan, has created a cool solution to common injury problems and it’s all natural!! Both Dale and Renee are genuinely passionate about their business with a great vision. 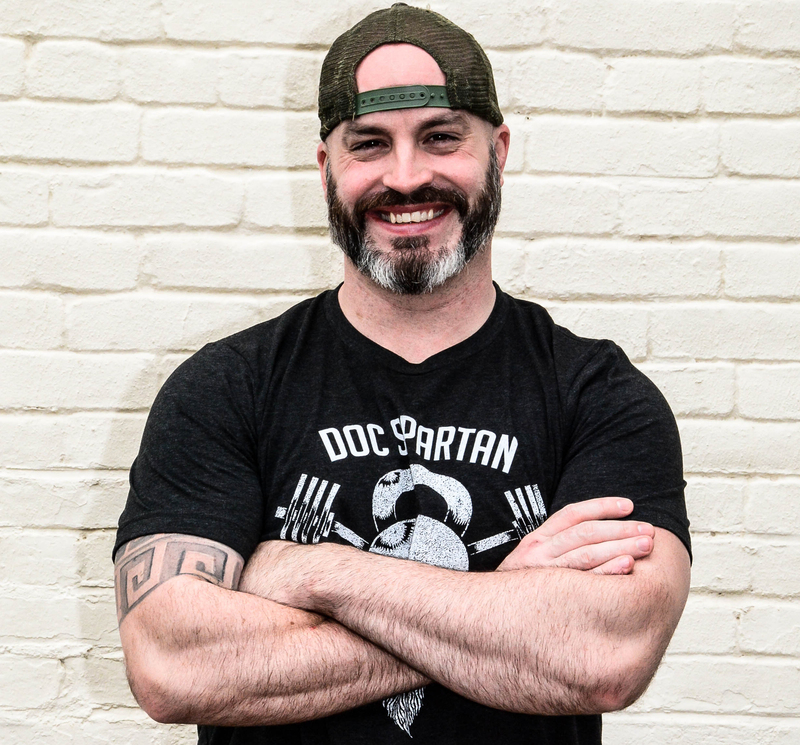 I sat down with Dale to speak a little more about Doc Spartan and how it all started. I can’t wait to work together with the Doc Spartan team—here’s to all the success they’ll undoubtedly achieve ! Your mission statement is very patriotic—tell me a little about your roots. We want to prove that veteran-owned companies based out of small town America can be successful and we do this by producing the best all-natural products for your skin and beard. The heart of America is its small towns and the backbone is its small businesses. We want to show that veterans can use the lessons from the military to open and operate small businesses after they exit from the service. Our roots are in Portsmouth and we want to show our local community that successful companies can thrive here. Finally, we want to use any success from our company to highlight our non-profit partner Team Some Assembly Required, a group of veteran and civilian adaptive athletes who still actively compete in fitness based competitions. I’ve always believed that small towns and small businesses are the backbone of America. How do you stay motivated? Our mantra is “One Day Closer to Death”. We believe each day is a gift and our time is finite on this Earth. Every morning that we wake up, it’s one day closer to death. Time is ticking and we don’t want to live a life haunted by regrets. This daily reminder is motivation everyday to build something that will leave a lasting legacy. Well I’m a veteran of OIF III & IV, and owner of PSKC CrossFit. Renee is a mother of 3, married to a former Kiowa pilot, and a member of PSKC. In addition to her “real” job and chasing around 3 kids under the age of 10, Renee was making all-natural lotions and hand creams for the female members of PSKC. One day, I approached Renee about developing an all-natural first aid ointment for the folks at the gym to use. In addition to making an ointment for the fitness community, I wanted something that could help the athletes of Team SAR, and something rugged enough that my old military buddies could use to for the everyday nicks/cuts/scrapes you encounter out in the field and on the range. 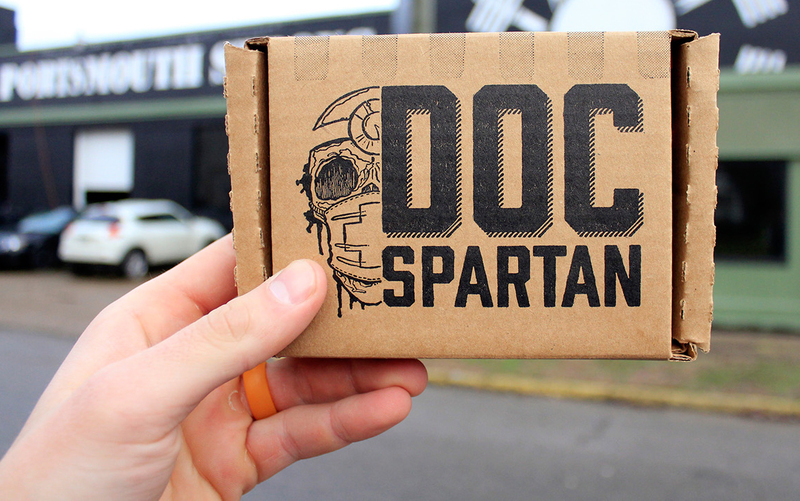 After some experimenting with the formula, the Doc Spartan® prototype was made. We immediately passed out samples to the members at PSKC and the feedback we received far exceeded our expectations! The rest is history. Can you tell me about your Shark Tank experience and what you learned from it? Project Confidence: Shark Tank is a life-changing, once-in-a-lifetime experience. We were very young as a company, but we believed in our product, our mission, and the potential of our company. People want to do business with someone who is confident in their abilities, not someone who can’t stand up to the pressure of the bright lights. Sales: getting the notification that we were in the running to go on the show forced us to ramp up sales. We had only been around for 6 months when the producers reached out to us and we didn’t have impressive sales. We wanted to go in the Tank with the best numbers possible so we had to do beat down doors to get as many sales as possible before the taping. Prior to that we had a passive approach, being satisfied with the customer finding us instead of reaching out to them. Perfect Pitch: the pitch is only thing you have true control over – make it memorable. Rehearse, rehearse, rehearse. We rehearsed several times, even to the point where we would do wind sprints and then deliver our pitch. We wanted to be prepared for all circumstances under any scenario. We wanted to deliver something that would resonate with the Sharks, have a little humor, and be something that the audience would remember as well. Hopefully we accomplished just that! You definitely did! 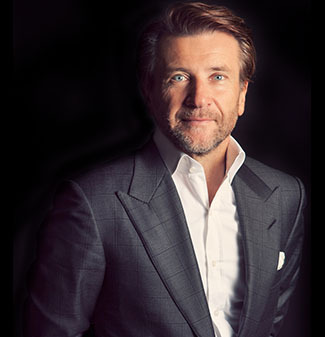 So why Shark Tank? By going into the Tank, we wanted to show the folks and potential entrepreneurs in our town that it can be done in Portsmouth. You don’t have to move away to a bigger town, if you want to affect change in your community you can do it. In the end, we wanted to bring a sense of pride to our hometown—that was really the ultimate reason. I agree—I don’t believe at all that you need certain circumstances to become an entrepreneur. Anyone can do it! Let’s talk about success—what does it mean for you and how do you measure it? For us, success means more jobs in our community. Success means helping other veterans start their ventures. Success means the multitude of people who testify that our product(s) have enabled them to get back to doing what they love. Is there a price for success? If so, what was yours? Renee and I both left comfortable, safe, and well-paying jobs with benefits to launch Doc Spartan. We traded in 40 hours a week for 16 hour days with no vacation. For the first year, we didn’t even draw salaries, reinvesting every dollar back into the company. Truth be told, there is no “free time”. Every spare minute not spent with family is dedicated to the company. Some consider this to be a sacrifice, but it’s the price you pay to live life on your own terms not by someone else’s rules and under their umbrella. Doing something you truly love isn’t work. Definitely! Let’s switch to talking about failure. Name a time where you’ve failed and what you learned from that experience. We will try anything, including doing things the hard way. We’ve made just about every mistake you can in terms of fulfillment and manufacturing. Renee was doing everything (manufacturing, labeling, etc) out of her kitchen, we used to handwrite labels, and do accounting by hand. We learned that in order to grow our business, we needed to work ON our business, not IN our business. Sometimes you just need to outsource. You talked about sales earlier—tell me about your biggest sales hurdle you’ve had to overcome. What did you do to reach the next level? As a young company, the most difficult thing is getting your name out there and gaining brand recognition. In the military/veteran community, your name and reputation are the most valuable assets you can have. Fortunately, through owning a gym for several years and co-founding a non-profit, I already had an established reputation within the community. Now it was just a matter of letting people know about our company and the products we have to offer. With any challenge, our strategy has been to attack our target market primarily through social media. Through the constant development of digital content, sales steadily grew over time. That’s great! Lastly, what’s coming up for you in the future? One goal is to have enough sales to support ten full-time employees in our community. We want to build up our company to the point where we are exporting our products across the country and internationally. 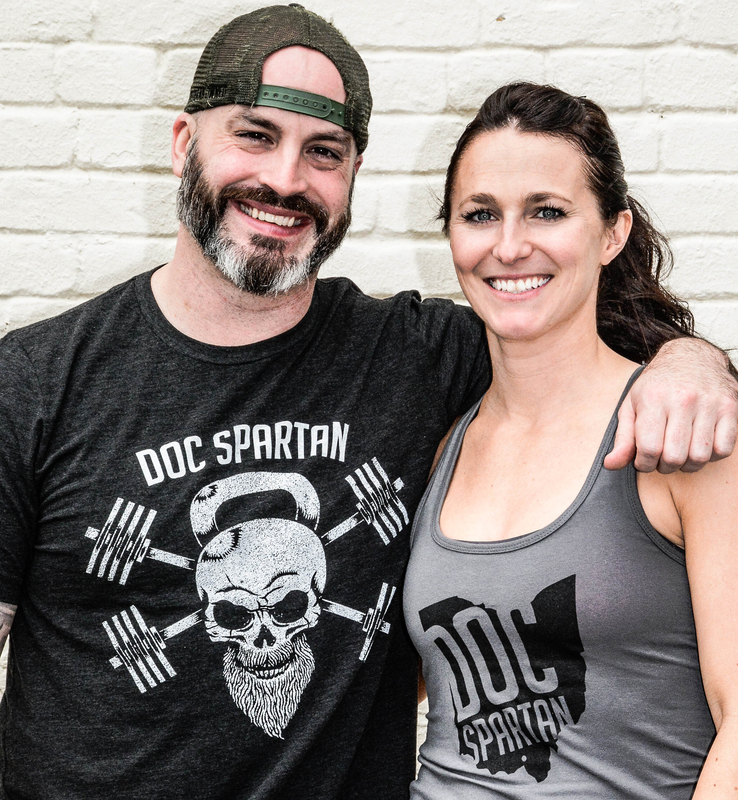 We want people to proudly know Doc Spartan is made in Portsmouth, Ohio.